Mixed Doubles Tennis was cancelled on Saturday, due to rain. 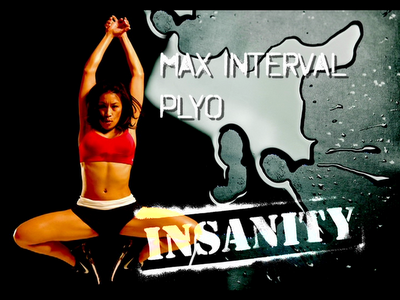 This gave me the opportunity to log my second attempt at Max Interval Plyometrics. Surprisingly, it went better than last week. Not great, mind you, but better. At no time did I leave my body. Yeah, I took breaks. Even the people in the video do. But not Tania. At least I don’t think so. Every time I looked up at the screen there she was–again–just ecstatic, grinning from ear to ear, at the opportunity to move through this routine. It’s just not right. It’s demoralizing. I know I was performing better because–I think it’s the second circuit–while I was performing the Level 3 Drills, I had the presence of mind to realize that doing so involved the completion of 100 Push Ups (96, actually). The ability to perform high level math means some oxygen was still making it to my brain, so cardio-vascular performance was better! Starting out, my legs were still feeling heavy from the prior night’s tennis. But no cramping in the calves like last time. Still, I can’t say I enjoyed it and these Max Routines still leave me “maxed out” for the remainder of the day. This entry was posted in P90X-Insanity Hybrid, Round 2 and tagged Max Interval Plyometrics, P90X-Insanity Hybrid, Push Ups, Tania Ante Baron. Bookmark the permalink.